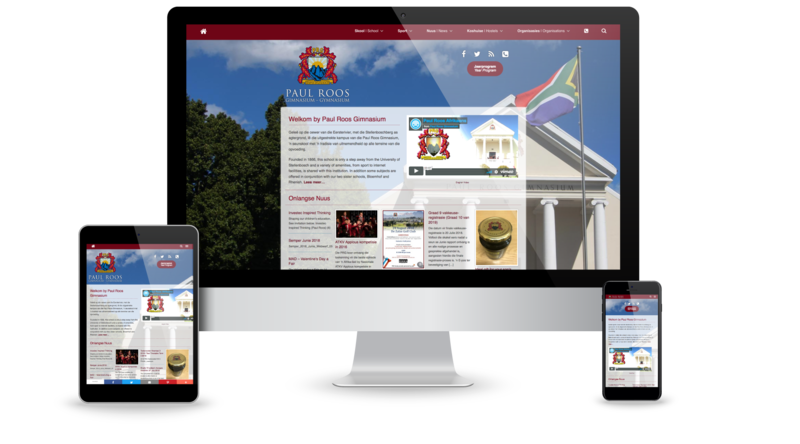 Paul Roos Gymnasium was founded in 1866, it is one of the most prestigious boys schools in South Africa. The school has produced many famous South Africans. It offers a wide variety of academics, sports, associations and facilities. Every week a lot of information, notifications and news is published on the website. Our job was to design and develop a website that would present all of this in a clear and logical way. Paul Roos Gymnasium is the alma mater of Arie Olivier. Paul Roos Gymnasium is a long term client of AO Design. Being an old boy of the school it was not a difficult decision to ask Arie to design our website. Through all the years we have enjoyed excellent service and loyalty.